Sloane Six and Scott Clemens purchased 100-acre Quarry Hill Farm in Harleysville in 2007. Since then they have converted it from a traditional farm to a sustainable one, specializing in locally raised grass-fed protein and homegrown organic produce. Quarry Hill Farm raises sheep, lambs, rabbits, chickens and guinea hens, among other pasture-raised animals, and also has organic fruits and vegetables, cage-free eggs and other edibles designed to help locals enjoy a healthier, more natural lifestyle. Customers can call in orders or purchase items from the on-site market, which is open Saturdays from 9 a.m. to 2 p.m., and Wednesday evenings from 4 p.m. to 7 p.m.
“The people who come here are passionate about food and passionate about eating, and we’re offering customers a higher quality of meat and produce,” she says. “We’re looking to create a balance in the way we treat our animals and the way we cook and prepare the food that we raise on our property. 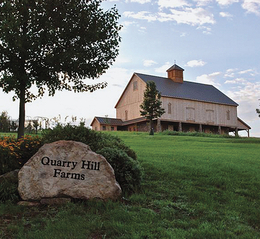 Quarry Hill Farm looks forward to hosting several upcoming educational/entertainment events. 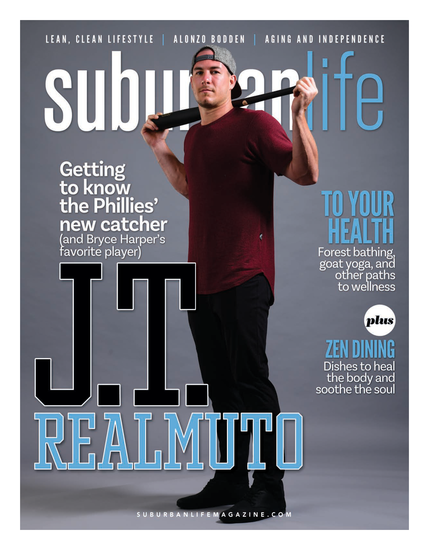 On June 21, the stunning property will host a Summer Solstice dinner party featuring produce and proteins prepared by the executive chef from the Freight House in Doylestown, with live local music. In early July, a Fourth of July Cookout will feature pastured proteins grilled by another prominent chef. Visitors should call in advance to register for either event.